Sandy Edwards first experienced healing when she sought relief from psoriasis. She had found hypnosis helped with the skin condition and in quitting smoking, and a friend suggested she train as a healer. The book contains the remarkable story of how she went on to work with gastroenterologist Sukhdev Singh at the Good Hope Hospital in Birmingham, leading to the setting up of a healing service within the NHS. 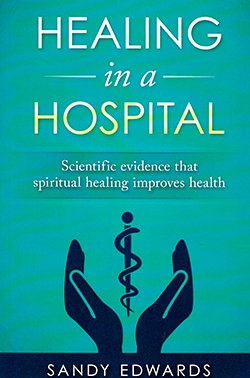 The book makes it clear that healing therapy is not linked to or based on any religious belief system, and has descriptions of research projects on the positive effects of healing. The text includes details of the positive results of her £205,000 research project to measure the effects of healing therapy on patients with irritable bowel syndrome and inflammatory bowel disease. Although the book does not have a nursing focus it contains a valuable introduction to an alternative therapy that is being increasingly used in the NHS.